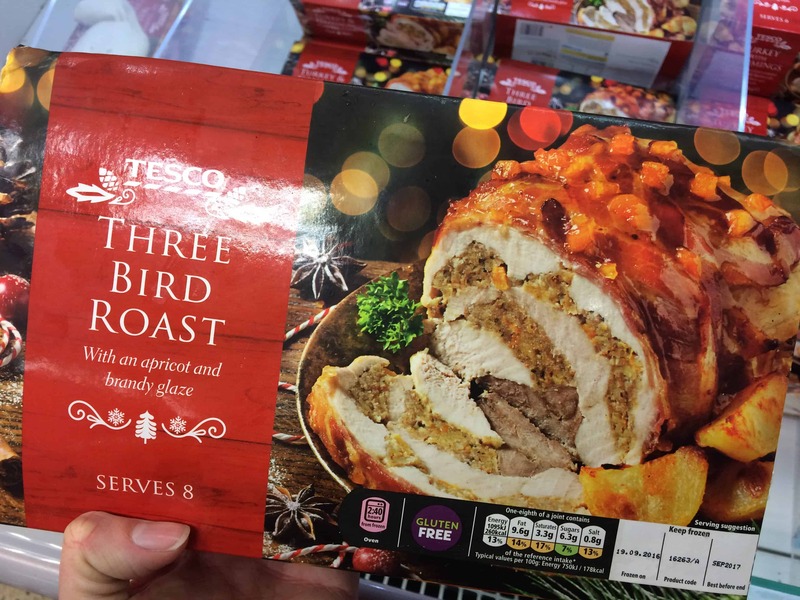 Like it or not, Christmas is going to be here before we know it, and the supermarkets are stocking a healthy range of free from festive foods. 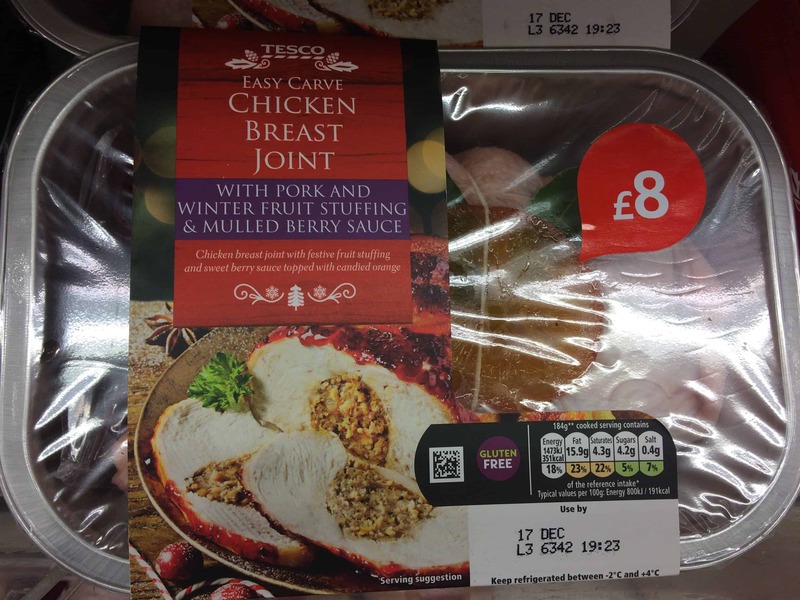 Tesco are leading the way by a clean mile at the moment with their range of free from Christmas food. 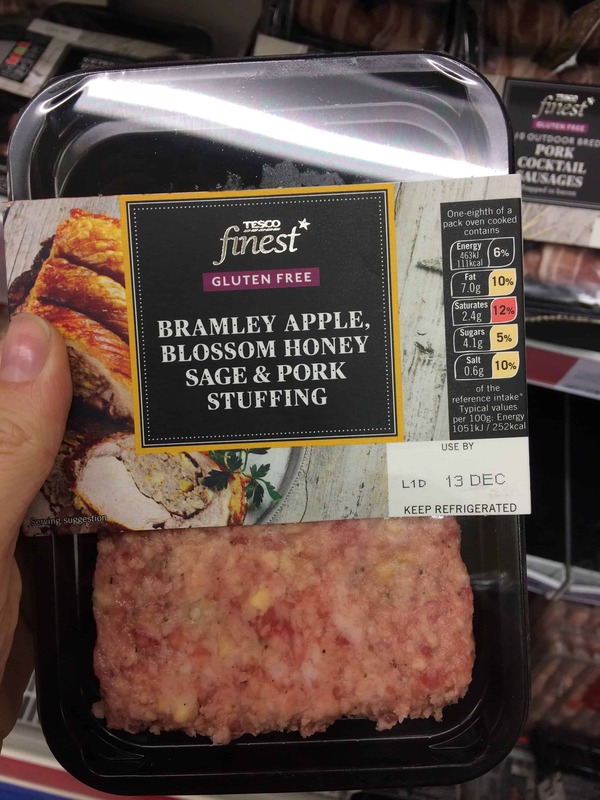 They seem to be adding more and more products every few weeks, and the latest goodies to appear on the shelves is their gluten free party food range. 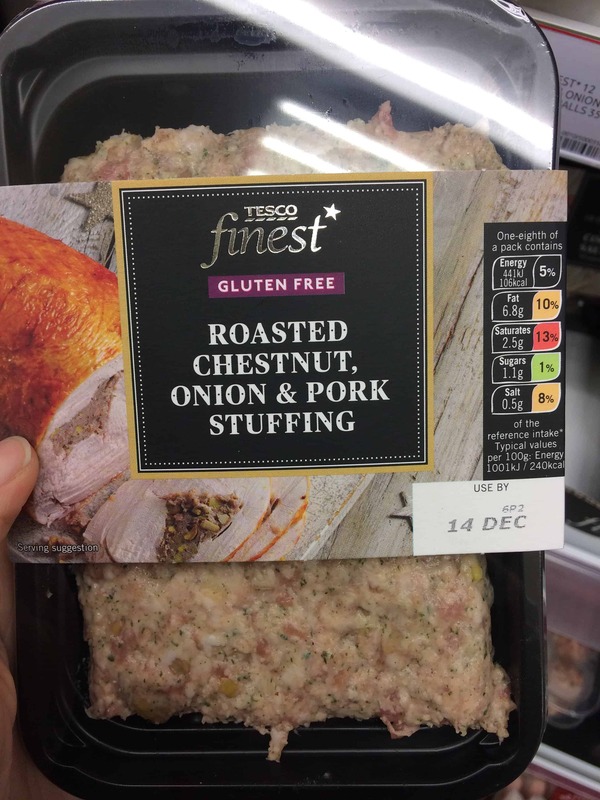 The best thing I have found in Tesco so far is all these gluten free roasts! 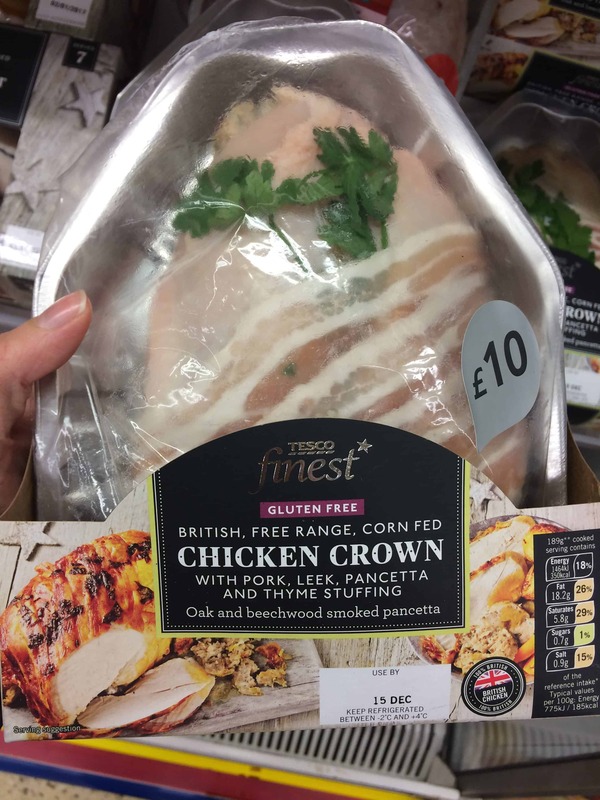 Usually a ready-made roast is out of the question but there is so much to choose from, including fresh chicken crowns and frozen three-bird roasts. All of it with gluten free stuffing! 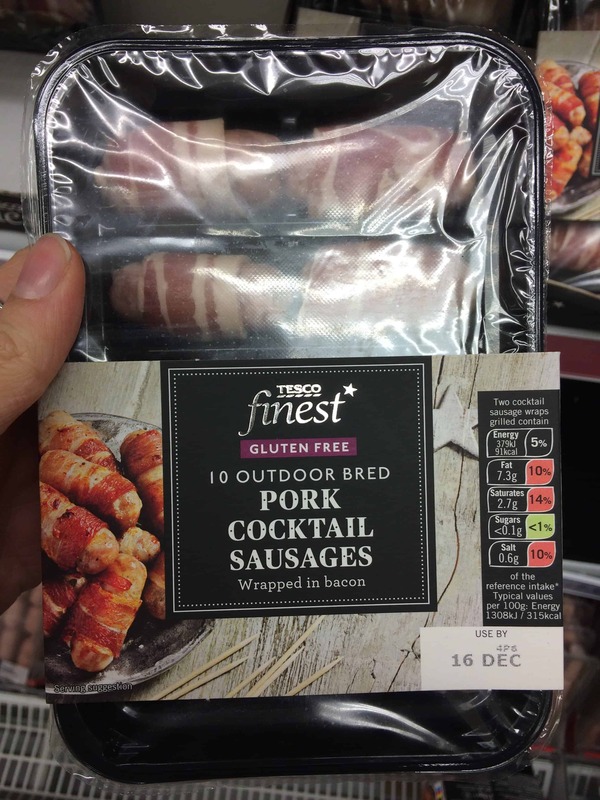 Finally, Tesco has launched some gluten free party food! These 2 mozzarella sticks are breaded with a gluten free crumb and clearly marked gluten free on the label too. 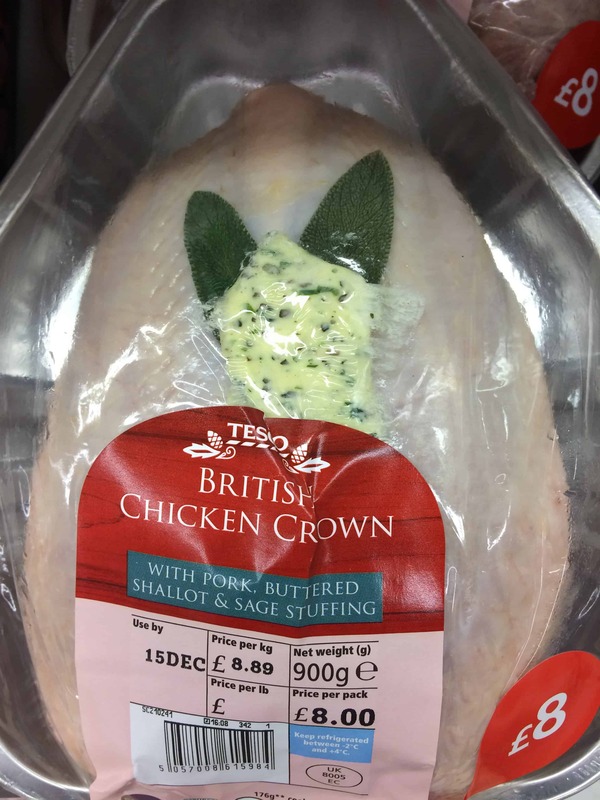 Found in the chilled section – but can be frozen at home. 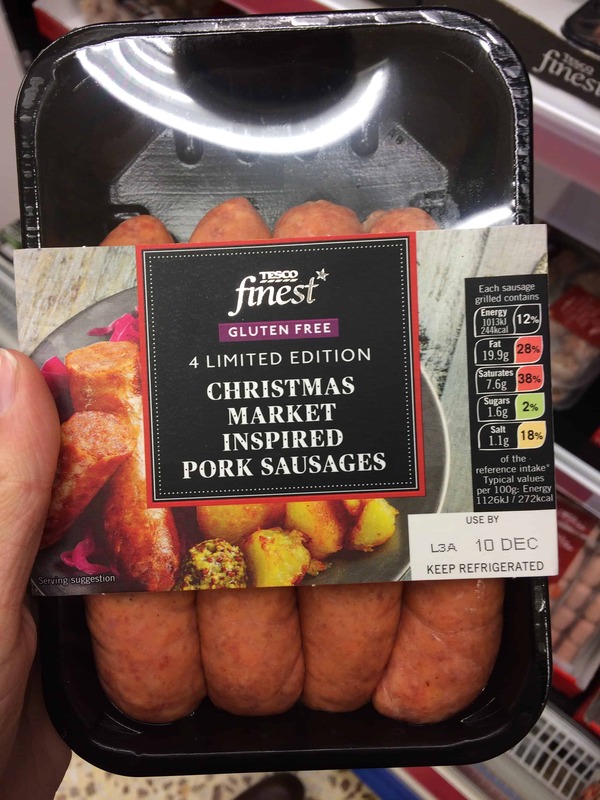 Another party food marked gluten free! These jalapeño peppers with cream cheese are clearly labelled and available with a golden gluten free crumb. Also in the chilled aisle. 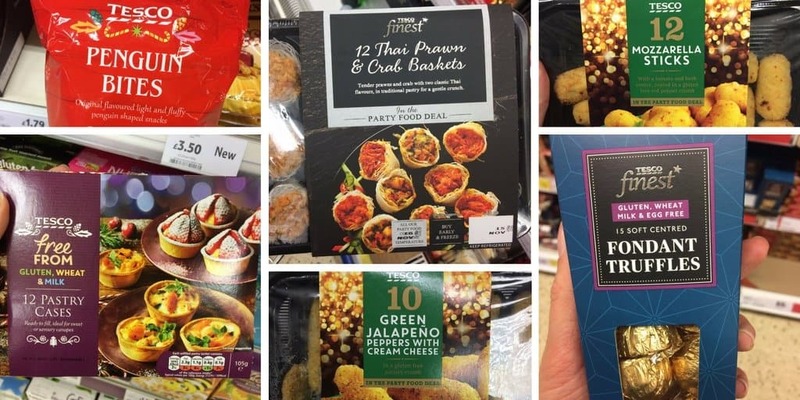 These chilled party food packs aren’t labelled gluten free like the above ones, but there is no gluten in the ingredients. They look delicious and something I wouldn’t expect to be able to eat. 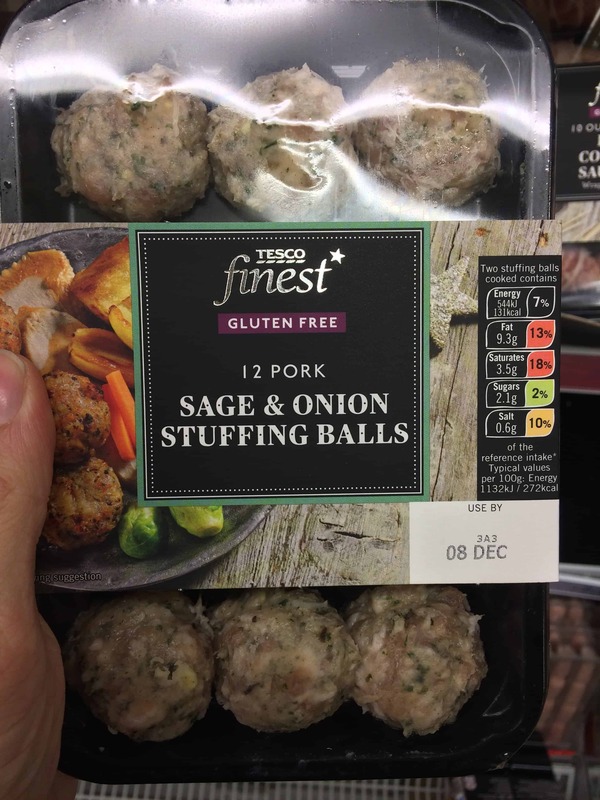 I was really pleased to find these were gluten free. 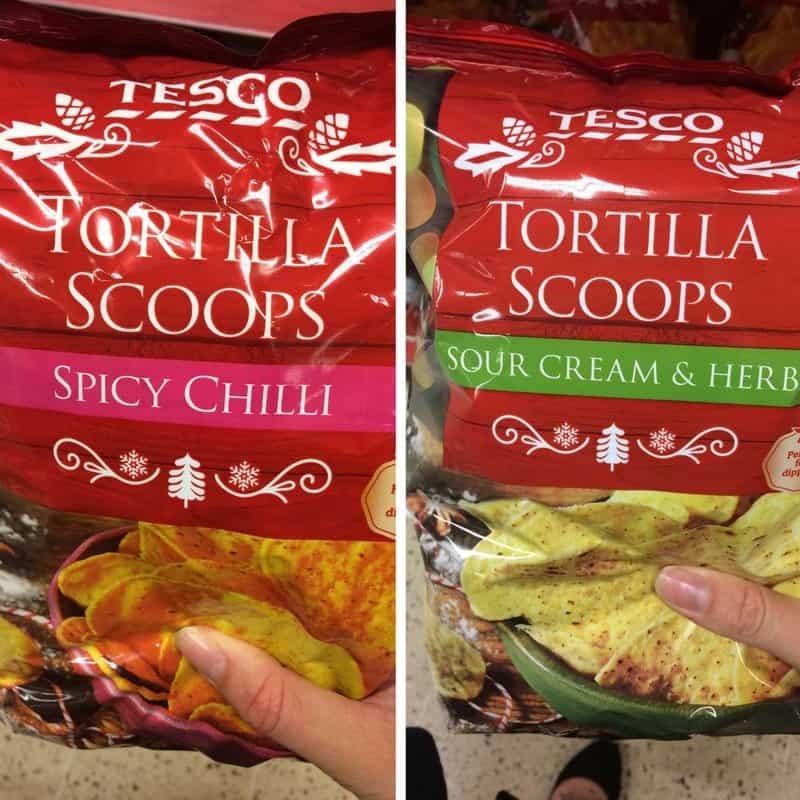 I love tortilla chips and love the fact these are ‘scoops’ – perfect for those Christmas dips. Bring on the guacamole! These fluffy potato snacks are so CUTE. Shaped like penguins, they have no gluten in the ingredients list and would be fantastic for any children’s parties over the Christmas season. Orange toffee, cinnamon sugar, cranberry pieces – could this popcorn be anymore festive if it tried? 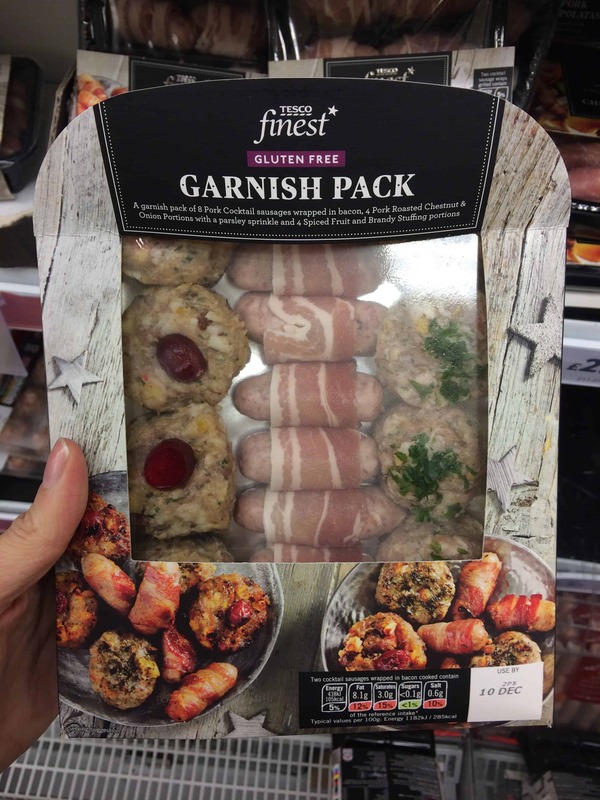 I found this in the seasonal aisle and it looks like a great snack for watching festive films! I saw a few people post about these at the Allergy and Free From Show in Liverpool at the weekend, and I think these will be a huge hit with people avoiding dairy! These look SO GOOD! These gluten free spiced pear pies look like a great alternative if you’re not too keen on mince pies. They sounds perfectly festive and even though I’m yet to try them, I can imagine they’re amazing warmed up with ice cream. I would firstly like to point out that although this says serves six, I think it is a lying. I’m pretty sure I could eat this in one sitting! This looks great as a showpiece dessert for the coeliac in the family at Christmas lunch, if they’re not keen on Christmas pudding. These gluten and wheat free shortbreads would make an excellent gift. At £4.50 it’s a little pricey but the mix of chocolate and cranberry biscuits sounds lovely. Something to make coeliacs feel a bit ‘normal’ among the selection boxes. I’m so excited to try these! Making gluten free pastry can be an absolute nightmare so the idea of being able to just fill these with sweet or savoury goodies when you’re hosting a Christmas party is amazing. This could be the product of the year for me. If you’d rather make a Christmas cake than buy one, this could be for you. I though with Bake Off fever still at large, this is a great idea from Tesco. If anyone tries it, let me know! Another treat that will be great for those avoiding gluten and dairy! Chocolate must be a nightmare at Christmas if you’re dairy intolerant – but not anymore! What else can I find in stores? 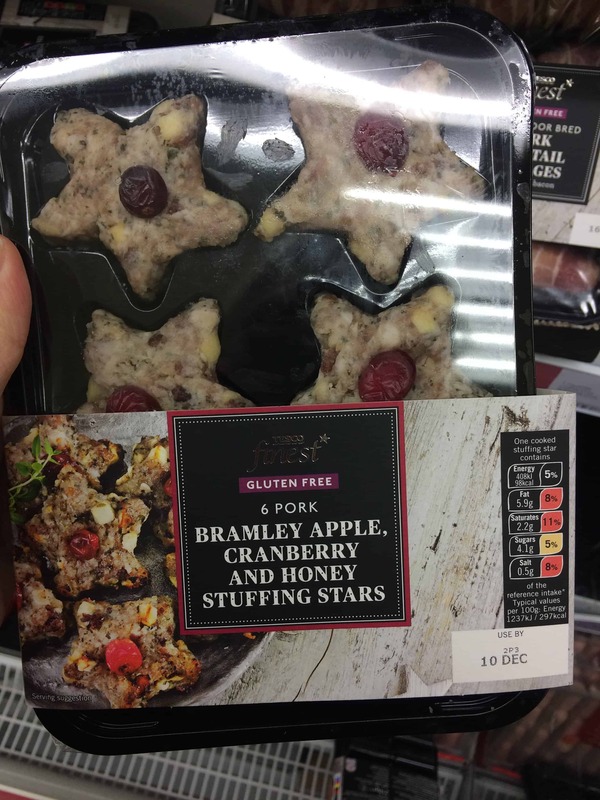 This is by no means the whole range from either store – obviously Tesco has got the usual selection of gluten free mince pies, Christmas puddings and iced Christmas cakes. 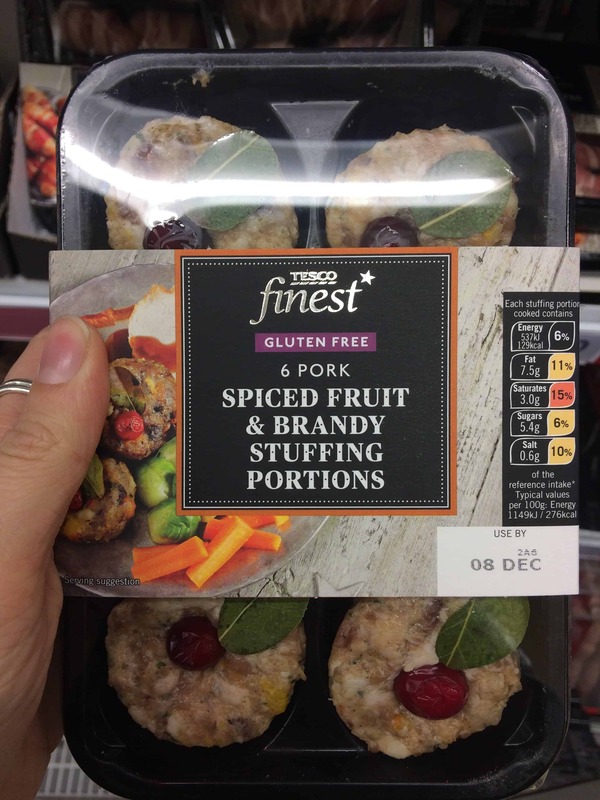 There are also some pretty exciting-sounding products I haven’t managed to find locally, such as the Tesco Finest gluten free salted caramel pudding (drool) and Tesco frozen mozzarella sticks. Both I’m dying to get hold of, so fingers crossed! I’ve seen loads of other goodies at Asda, Sainsbury’s, Marks and Spencer and Morrisons so I’ll be planning some more posts like this – please let me know if they are helpful! What are you most excited to try this Christmas? Will you be waiting to try any festive treats or are you stocking up already? Comment below and let me know! I am intrigued to try it, I might try grab some this weekend!